More fights are coming to Fight Pass and FOX Sports 1 this weekend (Sat., Sept. 24, 2016) when UFC Fight Night 95: “Cyborg vs. Lansberg” storms Nilson Nelson Gymnasium in Brasilia, Brazil. MMAmania.com’s Patrick Stumberg continues the UFC Fight Night 95 “Prelims” party with the second (and final) installment of a two-part undercard preview series. Beatdown machine Cristiane “Cyborg” Justino will put her seven-year, 11-fight mixed martial arts (MMA) knockout streak on the line this Saturday evening (Sept. 24, 2016) when she takes on Muay Thai import Lina Lansberg in the main event of UFC Fight Night 95, which will take place at Nilson Nelson Gymnasium in Brasilia, Brazil, airing live and free on FOX Sports 1. UFC Fight Night 95 will also feature former Bantamweight champion Renan Barao taking on Phillipe Nover, as well as Francisco Trinaldo looking for his seventh consecutive win against Paul Felder. 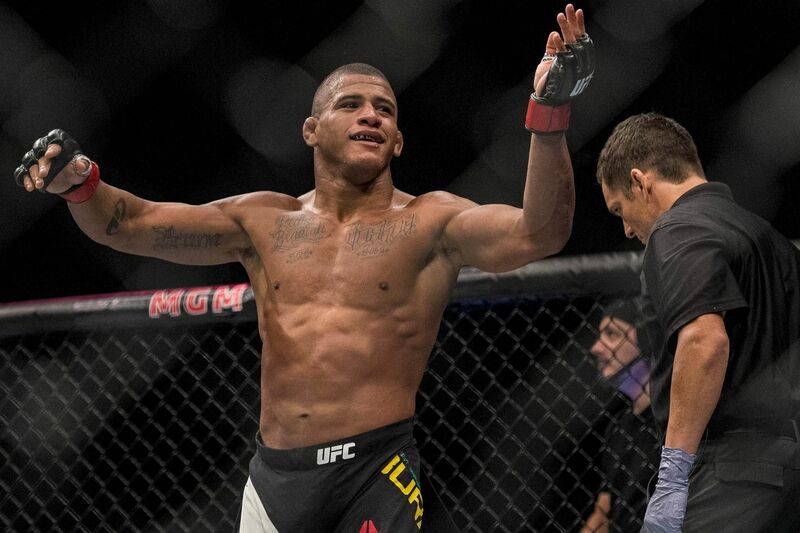 Gilbert Burns (11-1) — a world-caliber Brazilian jiu-jitsu artist fighting out of the Blackzilians camp — has won four of five since joining UFC, the lone blemish a decision loss to fellow blue-chip prospect Rashid Magomedov. In his last bout, “Durinho” rebounded from said loss with his third UFC armbar submission, this one over Polish grappler Lukasz Sajewski. He has submitted seven opponents overall, five by armbar. Michel Prazeres (20-2) has gone 4-2 in UFC, 4-1 at Lightweight, and picked up a decision win over the surging Mairbek Taisumov in 2014. Most recently, he battered late replacement J.C. Cottrell in July to earn his second win since losing to Kevin Lee in Feb. 2015.